Back in 2010 I received a CD by a new Canadian band called Half Past Four to review on my website, Progshine. The album was their debut and it was called Rabbit In The Vestibule (2008). Aside from the uncommon name of the band, their music caught my attention right in the beginning. It was an open window inside a closed Prog Rock room. So much variety, so much theater inside their music. It was love at first hearing and their album didn't leave my MP3 player for a long, long time. Half Past Four is an Art Rock band in the pure sense of the word, their music combines other fields of arts such as, poetry or theatre. 5 years after the release of their debut album and after a change in their line up here they are again, with their second album, Good Things (2013). Now the band is formed by Kyree Vibrant (vocals), Constantin Necrasov (guitars), Dmitry Lesov (bass and Chapman stick), Igor Kurtzman (keyboards) and Marcello Ciurleo (drums). Good Things (2013) was partially funded by an Indie GoGo campaign which the band did back in September 2011 and which raised over $2.200. Not the total they needed to fully cover their expenses of the recordings, but still a remarkable amount of money as for a new and fairly unknown band. This shows how powerful the band can be in the next years, they're building a strong fan base. Like with their first album I've also received a promo copy of the new album, but this time 1 month before the official release and I could say one thing right after the first chords, the band stays on the good side of music. Everything they had learned in Rabbit In The Vestibule (2008) they applied very skillfully in Good Things (2013). The absolutely great vocals of Kyree Vibrant still there, stealing the show in many occasions and better than before, tracks like 'Landmines' proves that. We have guitars lines that are dense like in the opening track 'It Strikes You' or 'All Day And All Night'. And it's clear that Igor Kurtzman's keyboards this time are more present and very well into place like in 'Rise' (that also rock the place out with a Rock n' Roll feeling). New drummer Marcello Ciurleo added a new dimension to the band and this time the basses are a little more 'into the face'. Both Dmitry Lesov's playing and the low tones in general. That was the one thing I didn't like on the first album, too much high frequencies, this time they're right on spot! 'Spin The Girl' is one of the most interesting tracks. Full of theatrical moments, great guitars and weird time signatures and vocals. 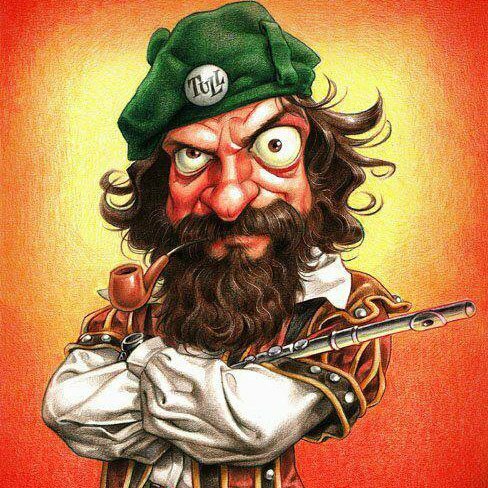 The band has everything! Cabaret feeling on 'Fate', Space Rock in 'I Am Lion', humor in 'Wolf' and the weird tempo closing track, and personal favorite, 'The Earth' (Kyree strikes again here). Like I said they have everything. Half Past Four is a real proof that Progressive Rock still can have high quality and not just regurgitate old clichés. With high doses of good imagination and humor, excellent musicianship, great songs and a brilliant vocalist Half Past Four will get there, trust me! Excellent second offer named Good things issued one month ago in april 2013 by this fantastic canadian band. The band needed almost 5 years to come with this follow up and the expectations were high, but in the end the waiting was worthing. I mean this album is top notch in same manner as previous one, up tempo with catchy parts brilliant instrumental sections and on top of that the voice of Kyree Vibrant is simply amazing, very flexible and acrobatic vocal passages that fiting very well the experimental progressive/art rock music to be found here. Skillful musicians, specially the drumer Marcello Ciurleo is brilliant, very strong and tight chops on every pieces. Forte tracks to me are , opening It Strikes You, Good Things, Darkness knew or Wolf, very nice keyboards on Rise for example. All in all a very nice album, that goes recommended as their first one. Half Past Four is a band to watch in the future because they are among the best in bussines, sounding fresh and having excellent ideas overall. Easy 4 stars. Very nice cover art. Album available at cdbaby CD or digital. Canadian band HALF PAST FOUR was formed back in 1999, although it wasn't until 2005 that the unit started to take the form of the band it is today. They released their debut album back in 2008, which was well received back then. Come 2013 and the Canadians are back with their sophomore production "Good Things", self-released just like their debut album. 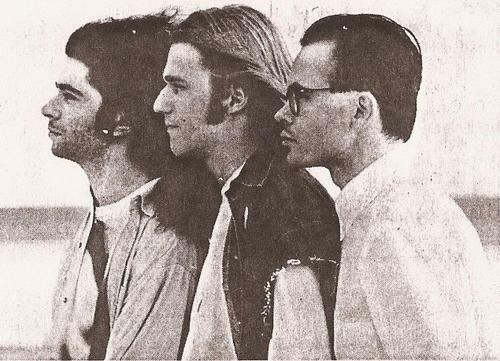 Half Past Four is among those bands that appears to really dedicate themselves into exploring the progressive part of progressive rock. Even after two albums and repeated listens to their material I have yet to find an accurate manner in which to describe their specific style. There's just way too many details floating around, too many nuances, too much variety. A recurring feature is the band's tendency to include jazz-oriented details. Bass and drums in particular tends to perform their respective motifs in a fairly jazz-inspired manner. The drummer does know when to settle back into a nice and steady routine and when to utilize the more sophisticated or perhaps even partially improvised jazz oriented delivery, while the bassist is just as skilled delivering subtle masked motifs when needed and more upfront textures when appropriate. The wandering piano motifs, almost just as much of a feature, share many of the same tendencies. Gently wandering and melodic when needed, more adventurous to the point of improvisational when the composition allows for such features. The guitar follows suit with the descriptions given to the other instruments, more or less. Gently wandering light toned motifs are applied with the same ease as dark, gritty and brooding riffs, sometimes even explosive at that. Occasionally erupting into a majestic combination with the organ, the aforementioned piano is replaced from time to time with alternative keyboard textures just to mention that aspect to, up to and including organ and some marvelous synth soloing. Returning to the guitars again, this is also a band that appears to enjoy incorporating a fair few Frippian details into their compositions. Odd tonal ranges, what might be described as angular guitar motifs I guess, eerie harmonies and subtle dissonances. Both when exploring a more jazzoriented territory and when the movement in question is of a more regular variety. In a totality which also has ample room for whimsical compositions, Wolf a perfect example of just that, the sheer totality of it all does become fairly challenging to sort into a specific box. 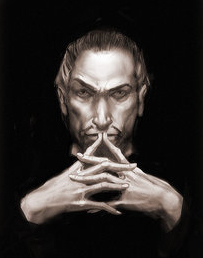 The music is challenging and consists of a plethora of details and contrasts indeed. A certain taste for jazz or fusion is probably needed to enjoy all the antics of this band aye, but it isn't strictly required. Because amongst all of the details mentioned as well as all of the aspects not mentioned or overlooked, this is also a band that has a fairly strict focus on melody. Movements light in tone and strong in melody are key features, many of the darker toned, contrasting passages are more straight forward in nature with a certain emphasis to them being a contrast to the less intense and more detailed constructions. A description that does come with a fair few exceptions, just to make matters a bit...interesting. The strong, accessible and distinct melodies is still a key feature, and emphasizing that aspect of the material we have vocalist Kyree Vibrant. Her last name, if not an artistic one, provides a fairly accurate description on her voice and her impact for this band. Vibrant indeed. Smoothly going from jazz-oriented and whimsical to powerful and emotional, always emphasizing the key melody of the composition. A key elements that makes Half Past Four's eclectic but accessible amalgam of progressive rock work as well as it does. While Half Past Four is a quality act and their album "Good Things" is an aptly named production, I have a hard time describing a potential key audience for this band. A slight taste for jazzrock and a general taste for melodies is required, as is a taste for music that warrants a description as both challenging, detailed and accessible. Those who enjoy the likes of District 97 will probably love this band, and I wouldn't be all that surprised if fans of early 80's King Crimson would enjoy this band quite a lot too, even if drastically different in style. 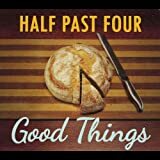 Canadian prog rockers Half Past Four have an excellent album with "Good Things" and its clever take on the band name in the album artwork. There are some wonderful musical treats on offer and high quality vocals from Kyree Vibrant. Scattered throughout are great compositions such as 'All Day And All Night' cruises along eloquently with some fabulous melodic vocals and solid guitars and keys. 'Rise' is a rocking track with an exceptional instrumental break featuring heavy duty guitars and even a spy theme sound thrown in for good measure. 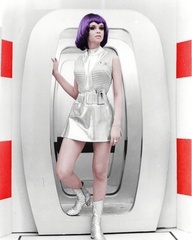 The drums break out and there is a glorious keyboard sound vibrating along a pulsing bassline. 'It Strikes You' and 'Good Things' prepare the listener for more complexity and jazz nuances to come, but they are decent songs that open the album on a dynamic note, though the album really takes off mid way through. Classic prog influences abound; 'Landmines' is sprinkled with King Crimson rhythms on guitar sounding very much like Fripp's style; and 'Cool Water' has a heavy guitar riff like Atomic Rooster or Uriah Heep, and then there are Pink Floyd style nuances in the verses and harmonies. There may even be Rush influences as they are Canadian of course, notably the lead breaks may be influenced by Alex Lifeson's style. This track even has a string section enhancing the sound. 'Spin The Girl' is an oddity with weird time sig changes and a speeded up cabaret feel. The piano freakout and hyper jazz works well to make this stand out. The crazy synth solo is followed by a fret melting lead guitar workout. 'Fate' opens with grandiose piano tinkling and a hypnotic guitar motif, before settling into broken time sig and quietened vocals. Vibrant gives it her all here and the piano is a constant presence with jazz tendencies and complex tempo shifts. 'I Am Lion' has more Frippian touches from Necrasov and there is a great keyboard sound from Kurtzman. Both musicians motor along with fluency and Vibrant takes up the vocal reigns admirably. The track builds eventually to a wonderful break where guitars solo and the signature switches momentarily. 'Wolf' begins with some dialogue, a bit of Wolfman Jack style vox and a weird fractured fairy tale lyrical vibe. The oddball sound is distinct and experimental featuring piano sprinkled over quirky percussion and bass. It is all tongue in cheek at this point reminding me of Frank Zappa, especially the odd meter and ironical humorous content. 'Darkness Knew' opens with a cool bassline and fragmented tempos, then Vibrant's sweet vibrato caresses. This is again a jazzy cruiser that simply gives a pleasant aroma despite the dark lyrics. The wah wah lead break is sensational capping off another great track. 'The Earth' closes proceedings with some off kilter time sigs that are hard to grasp on but delightfully so. The piano and guitar have a veritable workout as Vibrant takes over on vox, with some of her best work especially on the high register. There are even some male back up vocals but the real drawcard is the incredible musicianship and melody on this one. Zappa like fragmented guitar competes with blindingly complex rhythms and then a smooth synth solo sweetly saturates the song. In essence Half Past Four are a fantastic band who like to experiment with a wide array of musical styles. Their jazzy interludes are refreshing and as far as guitar workouts, this album has a plethora of lead breaks to savour. The vocals are delightful from Vibrant and overall there are enough magical moments and infectious hooks for this to drag you back for many listens. An excellent 2013 release with innovation and a bold approach from a group who know how to remain unique and yet true to prog rock at its finest. 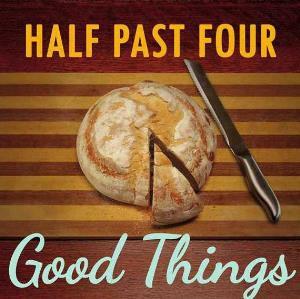 Post a review of HALF PAST FOUR "Good Things"